The Altec Lansing True Evo are average mixed usage truly wireless in-ears. They have a bass-heavy sound profile that will be better for music genres like EDM and hip-hop. They don’t enter your ear canal as deeply as typical in-ears, making them a bit more comfortable for some. Unfortunately, they don’t isolate low frequencies well, meaning they won’t be a great choice for commuting. However, their IPX6 rating and portable, breathable and stable design are great for sports. These Bluetooth headphones have very high latency and may not be a good option for watching videos and gaming. Short battery life and long charging time. The Altec Lansing True Evo are truly wireless in-ears that come with many tip options to help you find the most comfortable fit possible. 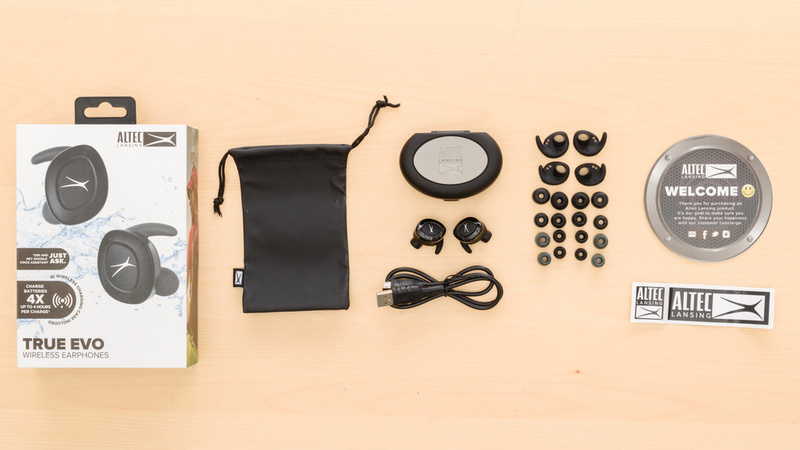 The earbuds feel solid and well-built, but they have a bulky design and might feel big in smaller ears. Unfortunately, they have a one-button control scheme that offers limited functionalities. On the upside, they are rated IPX6 for sweat and water resistance and have a portable, stable design, which is great for working out. They also come with a nice hard case that offers additional charges and that you can charge with a Qi wireless charger. 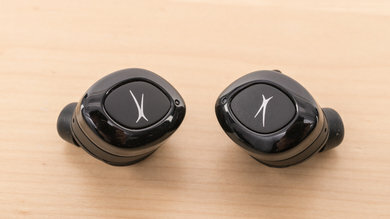 The True Evo are truly wireless in-ears that have an oval design and low-profile look in their all-black color scheme. The buds have stability fins which give them a bit of a sporty look, but they don’t stand out with flashy colors like other sports headphones. The buds are quite bulky and thick and will protrude out of your ears. 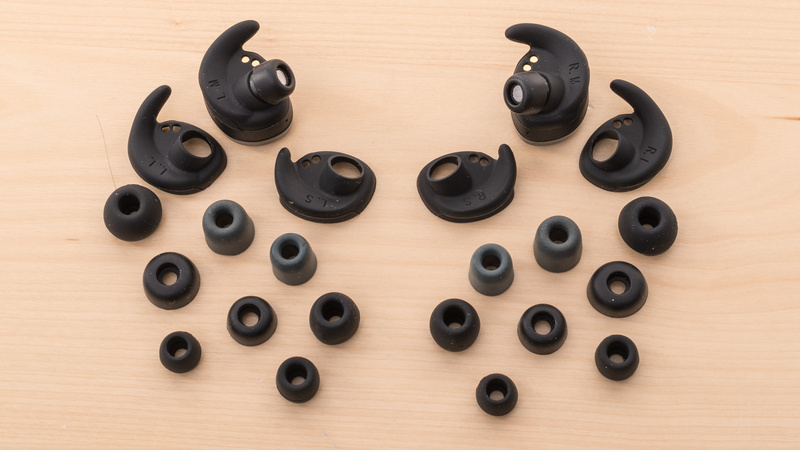 The Altec Lansing True Evo wireless earbuds are lightweight, fairly comfortable and come with multiple tip sizes and stability fins to help you find the best fit. They also come with 2 foam tips that some people prefer. They don’t enter your ear canal as deeply as typical in-ears so they might be more comfortable for some users. 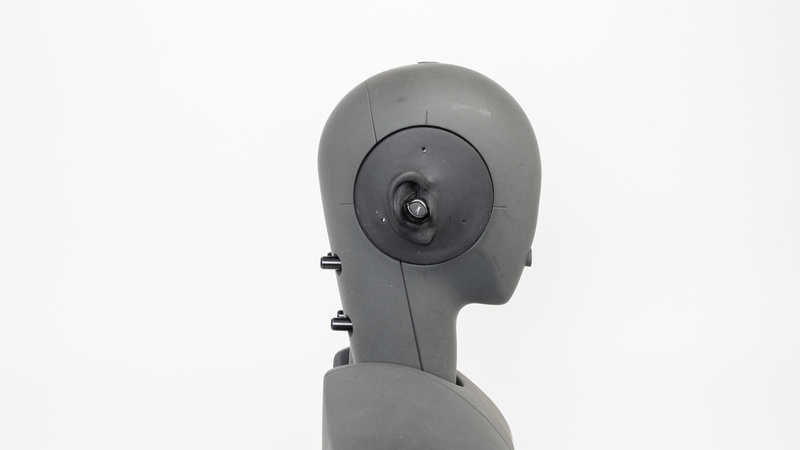 However, the fit might not be ideal for everyone, and some may feel ear fatigue after a while. Similar to the SoundPEATS TrueFree, the Altec Lansing True Evo have a single button on each earbud, which means their control scheme is limited. You can manage calls and music, and trigger your device's voice assistant, but that’s about it. They don’t have any volume control, and you can't skip tracks, which is disappointing. The buttons are fairly easy-to-use but aren’t versatile, and they give you decent feedback. 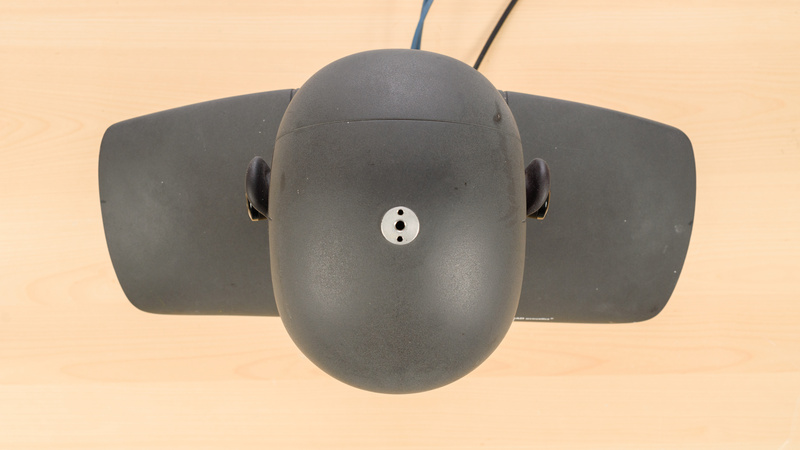 However, you have to push the earbuds a bit deeper into your ear if you want to register a command. Like most in-ears, the Altec Lansing True Evo wireless earbuds are very breathable and don’t create much of a difference in temperature when inside the ear for a while. You shouldn’t sweat more if you use them for sports since they don’t trap any heat under an ear cup like over-ears do. 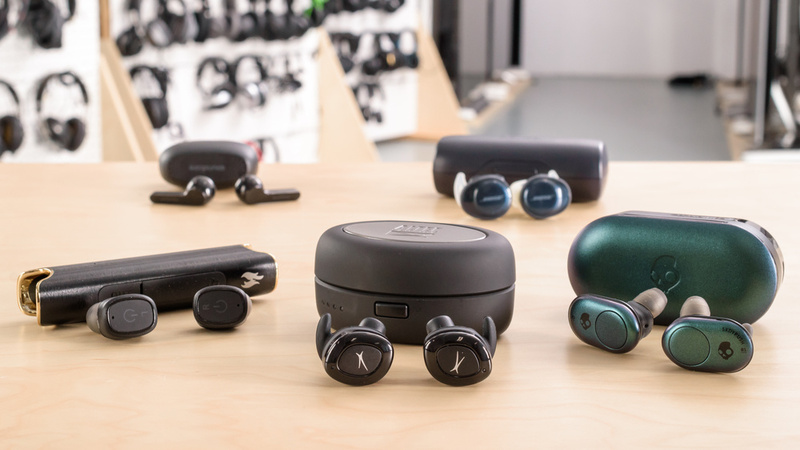 Like most, truly wireless in-ears, the Altec Lansing True Evo are very portable since you can easily fit the two buds inside pockets or a bag. They also come with a small hard case, but it is a bit bulkier than some other truly wireless headphones cases. It will still fit in most pockets so it won’t be too hard to keep on you at all times. 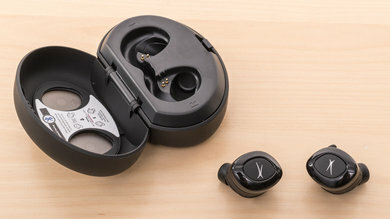 The Altec Lansing True Evo wireless earbuds come with a nice hard case to protect the headphones against scratches, minor water exposure, and small impacts. The case also supports Qi wireless charging, which is a nice addition. Unfortunately, the buds don’t fit well inside the case, and you might have to play around with them until you see the LED light up, confirming they are charging. 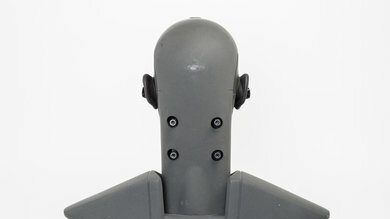 Also, for some reason, the right earbud is stored on the left, and vice versa. The overall build of the case feels a bit cheap, but it has a locking mechanism to keep the buds inside. On the upside, the lid of the case is also see-through, so you can always see the LED status. You also receive a small pouch to travel with the case, accessories and charging cable. The overall build quality seems solid enough to survive a few accidental drops. The buds are small and made of dense plastic that feels solid and shouldn’t break easily. However, the case feels lightweight and not as sturdy as the headphones. On the upside, these headphones are rated IPX6 for sweat and water resistance, but we do not currently have a test to accurately measure this. The True Evo are stable headphones for running and working out. You might need to take some time to find the perfect fit with all the tip and fin options, but once you get it right, they barely move in your ears. Unfortunately, the bud design is fairly bulky, and you might feel like they aren’t very stable. On the upside, they are truly wireless, and you won’t have to worry about a cable getting stuck on something and pulling them out of your ears. These truly wireless headphones don’t have a wired connection but come with a short charging micro-USB cable. The Altec Lansing True Evo are mediocre-sounding closed-back in-ears. They have an average and boomy bass with a cluttered mid-range. Unfortunately, vocals and lead instruments are going to sound thick and pushed to the back of the mix. On the other hand, they have a great and well-balanced treble. Overall, these headphones will be better suited for bass-heavy genres like EDM and hip-hop, and they won’t be an ideal choice for vocal-centric music. Average bass range performance for the Altec Lansing True Evo wireless earbuds. LFE (low-frequency extension) is down to 23Hz, which is great. However, the sub-bass range which is responsible for low-end thump and rumble is slightly lacking, but this shouldn’t be too noticeable on headphones. On the other hand, mid-bass, responsible for the body of bass guitars and the punch of kick drums, and high-bass, responsible for warmth, are over our target by about 6dB and 8dB respectively, resulting in an overpowering and boomy sounding bass. The Altec Lansing True Evo wireless earbuds have decent mid-range performance. Low-mid is slightly overemphasized, which adds to the muddiness and boominess caused by the excess high-bass. Mid-mid and high-mid are consistently underemphasized by about 3dB and 4dB, weakening vocals and lead instruments, and pushing them to the back of the mix. The treble performance of the True Evo is great. The response is fairly flat and even throughout the range, but the small peaks around 6-7KHz and 10KHz might make these frequencies a bit sibilant, but not everyone will hear it as intensely. The frequency response consistency of the Altec Lansing True Evo is great. Assuming the user can achieve a proper fit and an air-tight seal using the assortment of tips that come with the headphones, they should be able to get consistent bass and treble delivery every time they use the headphones. However, since the buds are quite big, some people may have difficulty getting a good seal. The stereo imaging is excellent. Their weighted group delay is at 0.29, which is very low. The group delay graph also shows that the entire response is below the audibility threshold. This ensures a tight bass and a transparent treble reproduction. Also, the L/R drivers of our test unit were well-matched in frequency, amplitude, and phase response. This is important for the accurate placement and localization of objects (voices, instruments, video games effects) in the stereo image. Note that these results are only valid for our unit and yours may perform differently. The harmonic distortion performance of the True Evo is mediocre. The overall amount of harmonic distortion is elevated in the mid and treble ranges. The peaks around 1KHz and 3KHz could make the sound of those frequencies a bit harsh and impure. However, the THD produced in the bass range is within good limits, without a big jump in the THD under heavier loads. The isolation performance of the Altec Lansing True Evo wireless earbuds is decent. They won’t isolate lower frequencies well and will not be ideal for commuting. They isolate a good amount of ambient chatter so they could be a good option for the office. Also, since they barely leak, you will be able to block more background noise by raising your listening volume, without disturbing people surrounding you. The noise isolation performance of the True Evo is mediocre. These in-ear headphones don't have active noise canceling, and passively achieve about 6dB of isolation in the bass range, which is mediocre. This won't be quite adequate for reducing the rumble of airplane and bus engines that occupy that frequency range. In the mid-range, important for blocking out speech, they isolate more than 18dB, which is good. In the treble range, occupied by sharp sounds like S and Ts and fan noises like A/C systems, they achieved about 30dB of isolation, which is also good. The leakage performance of the True Evo is excellent. These in-ears practically do not leak, so you don't need to worry about disturbing people around you unless you are blasting your music in a very quiet room. With the music at 100dB SPL, the leakage at 1 foot away averages 28dB SPL and peaks at 37dB SPL, which is quieter than the noise floor of an average office. The microphone of the Altec Lansing True Evo is mediocre, like most Bluetooth microphones. 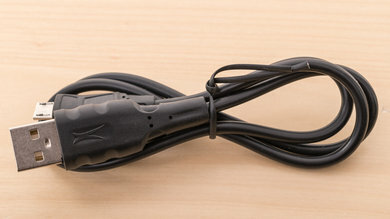 In quiet environments, speech recorded or transmitted with this mic will sound relatively thin, noticeably muffled, and lacking in detail. In noisy situations, it will struggle to separate speech from ambient noise, even in moderately loud environments such as a busy street. 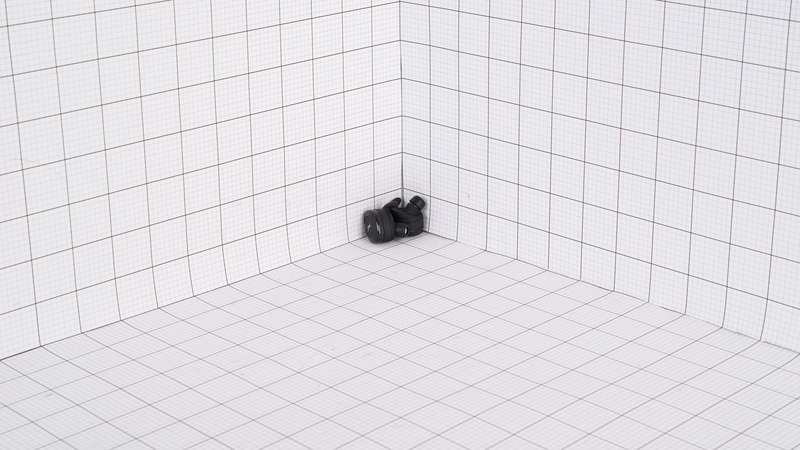 The integrated mic of the True Evo has an average recording quality. The LFE of 265Hz results in recorded or transmitted speech that is relatively thin. The HFE of 3.4KHz suggests speech that lacks detail and presence, but this is expected on Bluetooth microphones. 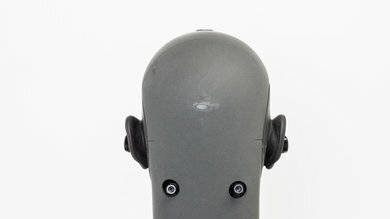 However, the intelligibility of speech on this microphone will be decent in quiet environments. The integrated mic of the True Evo has poor noise handling. 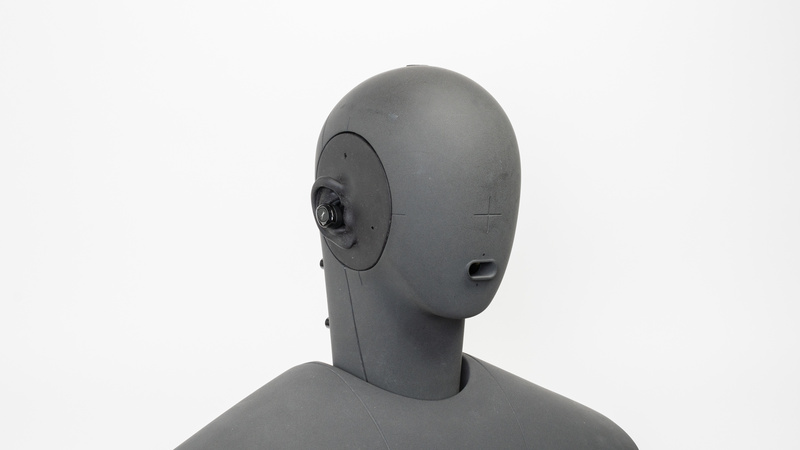 In our SpNR test, the mic achieved a speech-to-noise ratio of about 9dB, indicating it is best suited for quiet environments. 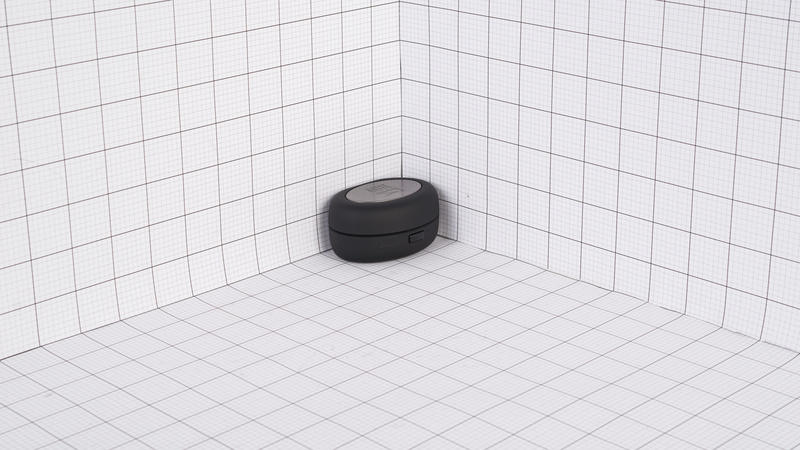 However, it will struggle to separate speech from ambient noise even in moderately loud situations. The Altec Lansing True Evo wireless earbuds have a short 3.3-hour battery life on one charge, but the case gives you additional charges. Their estimated total of about 15 hours should last you all day long, but you have to take breaks to charge the headphones. Unfortunately, you have to charge them for almost the same amount of time than what they last on one charge. Also, they don’t have any customization options and don’t have an app to enhance your listening experience. The Altec Lansing True Evo wireless earbuds have a short 3.3-hour battery life on one charge, but thankfully, the charging case gives you four additional charges, for an estimated total of about 15 hours. Unfortunately, they take about the same time to charge, which is disappointing. They also can’t extend their battery life thanks to power saving feature, so be sure to turn them off when you’re not using them. Also, you might have to fiddle with the buds a bit to ensure they are charging in the case. Unfortunately, the True Evo don’t have a companion app with customization options. The Altec Lansing True Evo are fairly straightforward Bluetooth-only truly wireless headphones. They have high latency which may not be suitable for watching videos and gaming, but their wireless range is great. They also come with a case that gives you more battery life, and you can even use a Qi wireless charger (not included) to charge the case. These Bluetooth-only headphones are very simple and don’t offer NFC. They also can’t connect to more than one device at a time, which would have been convenient if you often switch between a PC and your phone. Note: we could not confirm the Bluetooth version. These Bluetooth-only headphones don’t have a wired connection. The True Evo wireless earbuds come with a charging case that gives you four additional charges, but it doesn’t have any inputs. On the upside, you can use a Qi wireless charger to charge the case. These truly wireless in-ears have a great wireless range. You’ll be able to leave your audio source at one place and walk around to the next-door room without too much problem. You shouldn’t have any problems if you keep your audio source on you or keep it close while working out. However, these results depend greatly on your source signal strength so that these results may vary. The True Evo wireless earbuds have very high latency and may not be suitable for watching videos and gaming. You might notice a delay between what you see and what you hear. You might not notice it as much on video content apps like Netflix and YouTube as they provide some sort of compensation depending on your device. The Altec Lansing True Evo are average truly wireless headphones that only set themselves apart due to their Qi wireless compatible charging case. However, they don’t perform particularly better than other similar headphones on the market. 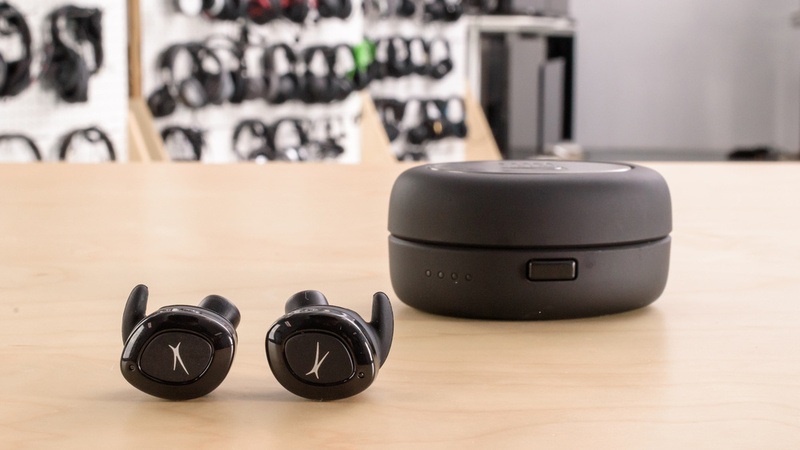 If you’re interested in truly wireless headphones, see our recommendations for best true wireless earbuds, the best wireless earbuds, and the best wireless earbuds under $100. The Bose SoundSport Free are better truly wireless headphones than the Altec Lansing True Evo, especially if you care about sound quality. They have a more neutral sound and have a more comfortable and durable build. You get volume controls, which you don’t have on the True Evo, and their battery life is longer. However, the Altec Lansings have a better and more portable case, and since they are closed-back, they isolate more than the semi-open design of the Bose. The Skullcandy Push are better headphones than the Altec Lansing True Evo. Their control scheme is more complete and volume controls is a must-have for some, which the True Evo lack. They also have longer battery life on a single charge, but their case only holds one additional charge, which is disappointing when compared to the True Evo’s four. The True Evo also feel better-built and less plasticky than the Push, especially in regards to their case. The XFYRO xS2 are better truly wireless headphones than the Altec Lansing True Evo. They are a bit more versatile thanks to their better isolation performance, which can be useful while commuting and at the office. They also have better wireless range and take less time to charge, for about the same battery life. On the other hand, the True Evo feel better-built, and some may prefer a design with stability fins for sports. Average for mixed usage. Their sound profile will be better suited for fans of heavy-bass music and won’t be great for vocal-centric music. They don’t isolate low frequencies well like plane and bus engine rumbles, which won’t be ideal for commuting. However, they have a very portable design. They also have stability fins and are very breathable, which is good for sports. Unfortunately, their short battery life isn’t great for the office as they also take a lot of time to charge fully. Additionally, their latency will be noticeable while watching video content and gaming. Average for critical listening. They have an average and boomy bass with a cluttered mid-range. Unfortunately, vocals and lead instruments are going to sound thick and pushed back to the back of the mix. On the other hand, they have a great and well-balanced treble. They will be better suited for fans of bass-heavy music. Also, the in-ear fit might not be ideal for long listening sessions. Decent for commuting. The True Evo are very portable and can easily be carried around, but unfortunately, they don’t isolate engine rumble well and may not be the best option for traveling. They are comfortable for short rides, but you might feel ear fatigue during long flights. Good for sports. These truly wireless headphones don’t make you sweat more than usual thanks to their breathable design. They also have stability fins which are great to keep a secure fit while working out. They also have a good wireless range, so you’ll also be able to leave your phone on a bench or the treadmill without getting audio cuts. Average for the office. 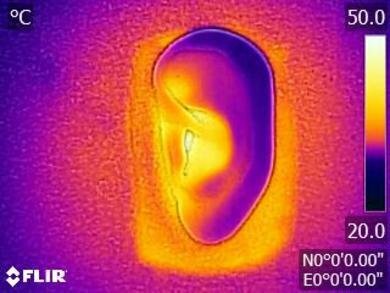 While they isolate a good amount of ambient chatter and barely leak, the True Evo have a few things that won’t be ideal for the office. They have a short 3-hour battery life on one charge, and it will take you the same amount of time to recharge them fully. 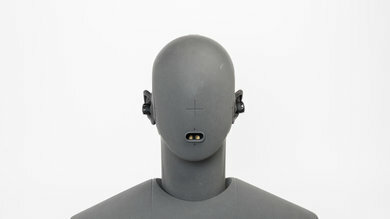 Also, the in-ear fit won’t be as comfortable throughout the day, and you’ll feel ear fatigue after a while. They also don’t have multi-device pairing, which would have been useful to switch between your phone and work computer. Sub-par for watching TV. They don’t have the best sound quality and won’t be comfortable to wear during hours. Also, they have high latency, so you’ll notice a delay between what you hear and what you see. Bad for gaming. These headphones should not be considered for gaming as they have high latency and their microphone is mediocre for online gaming. They also have poor battery life that won’t last long gaming sessions.